Home > About Massey > News > Ka Mate – a commodity to trade or taonga to treasure? 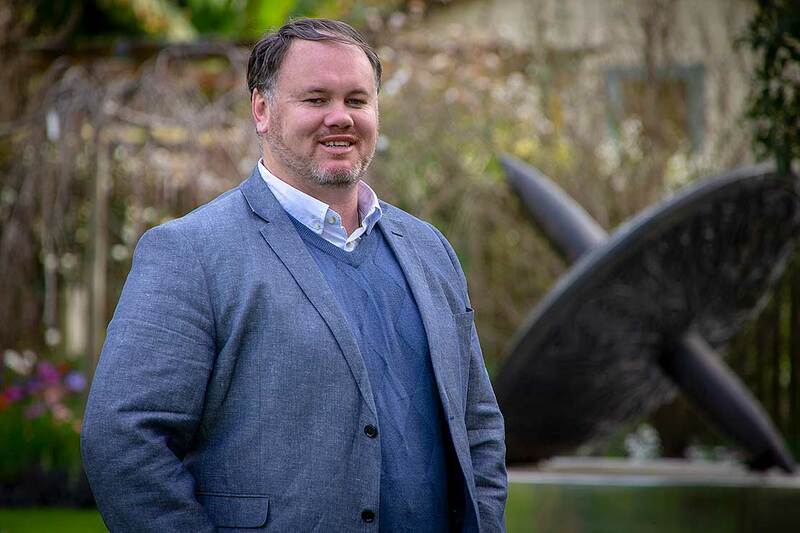 Lead researcher Jeremy Hapeta, (Ngāti Raukawa Ngāti Huia, Ngāti Pareraukawa), and colleagues Dr Farah Palmer, (Ngāti Maniapoto, Waikato) and Dr Yusuke Kuroda, carried out a literature review which drew upon existing research, legislation and recent marketing campaigns. Additionally, the study involved interviews with pukengā (experts) to gather pūrākau (narratives) from their informed perspectives and reflections of the commercialisation of this particular Māori ritual in sport. Ka Mate, composed by Ngāti Toa chief Te Rauparaha, has received global exposure due mostly to its adoption as a pre-match ritual by the All Blacks. Increasingly, the two entities have become symbols of New Zealand national identity and pride, but not without controversy and debate. Mr Hapeta would like New Zealand Rugby (NZR) to play a leading role in guiding global corporations and sponsors in relation to accessing and attributing the haka to the appropriate iwi and people. The researchers spoke with members of three iwi who are closely associated with Ka Mate, namely Ngāti Toa, Ngāti Raukawa and Ngāti Tūwharetoa, as well as critically reviewing literature and legislation from a kaupapa Māori perspective. “The kōrerorero [discussions] were guided by open-ended questions related to: how mātauranga [knowledge] of haka were handed on to these experts, how Māori and wider New Zealand society are passing on knowledge of haka today, their aspirations for this knowledge to be handed on to future generations and finally the use of haka in sport marketing,” Mr Hapeta says. In 1991, six tribes took a major claim to the Waitangi Tribunal, in regards to the indigenous flora and fauna and Māori cultural intellectual property. It is within the claim, commonly known as WAI 262, that Ngāti Toa sought to cease the exploitation and regain some control over Ka Mate. Findings and recommendations from the WAI 262 report set a precedent, and it was closely followed by the Haka Ka Mate Attribution Act. The Government acknowledged the importance of Ka Mate to Ngāti Toa and passed legislation requiring attribution to Ngāti Toa, including commercial uses of Ka Mate. In a pre-tournament Rugby World Cup (RWC) 2015 promotion, former English rugby captain Matt Dawson featured, along with several support actors, in an online video for British men’s clothing brand Jacomo, that parodied Ka Mate. They blended music and moves from the hit Spanish dance song Macarena with Ka Mate lyrics and gestures to create a hybrid dance called the “Hakarena”. Heineken were a major sponsor of the 2015 RWC hosted by England. The company produced a promotional video, using customers in a Dublin bottle store. The clip showed customers flipping a coin for a chance to win tickets to the RWC final. Following the coin toss, they were surprised by three actors (who appeared to be of Māori heritage), who performed a generic haka. The actors then challenged the customers to perform their best haka to win the tickets – resulting in amateur performances of Ka Mate. “Whether intentional or not, the use of haka for commercial gain, performed with little understanding of the nuances and meanings of this cultural ritual, and distributed to the public without appropriate acknowledgement, disrespects the intended spirit of the WAI 262 and the Act,” Mr Hapeta says. The most recent example of strategic haka use by sport sponsors was at the 2016 ASB Classic in Auckland. Organisers secured several high-profile All Blacks who provided top international women’s tennis star Caroline Wozniaki with a personal haka lesson. This story was covered by New Zealand media, appearing on the national 6pm news bulletin. “In the footage, Wozniaki was encouraged to poke out her tongue during the performance – a practice inconsistent with tikanga Māori [customs], because wāhine [women] do not normally protrude their tongue,” Mr Hapeta says. The paper, entitled KA MATE: A commodity to trade or taonga to treasure? was published in the MAI Journal last year.